On September 27, the Russian Ministry of Foreign Affairs Press Center will host a presentation of the photobook “Russia - Indonesia: Milestones of Cooperation.” The event is held by the Ministry of Foreign Affairs of Russia and JSC Rosoboronexport (part of the Rostec State Corporation). The presentation will be attended by Rosoboronexport Deputy CEO Sergey Goreslavsky, Deputy Director of the Russian Foreign Ministry’s Information and Press Department Artem Kozhin, Russia's permanent representative at the Association of Southeast Asian Nations (ASEAN) Alexander Ivanov, representatives of the Embassy of the Republic of Indonesia in Moscow and other guests. In addition, the Russian veterans of the military-technical cooperation system, who contributed to the work, will tell about the book. The book was created on the initiative and with the support of JSC Rosoboronexport in 2016. Its release is timed to the 60th anniversary of the signing of the Soviet-Indonesian Trade Agreement and the General Agreement on Economic and Technical Cooperation. These events, in fact, laid the foundation for emergence of military-technical cooperation between the two countries, which has reached a new level today. The book is available in a deluxe version in two languages ​​(Russian and Indonesian) and tells about of the most significant events in the industrial, economic, political and military-technical cooperation in the history of the two countries. The book contains greetings to the readers from Megawati Sukarnoputri, fifth President of the Republic of Indonesia, Industry and Trade Minister Denis Manturov, Coordinating Minister for Economic Affairs of Indonesia Darmin Nasution, Rostec CEO Sergey Chemezov, Rosoboronexport CEO Anatoly Isaykin. 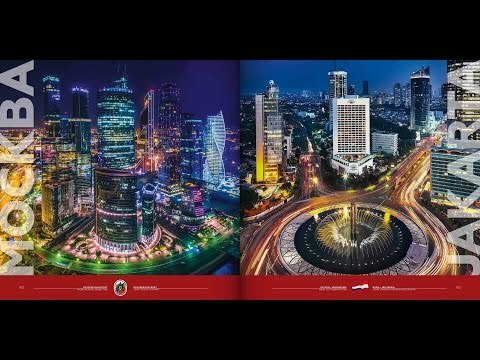 "Leafing through the photobook, the reader will be able to get an excursus to the almost seven decades-long history of bilateral relations, see the most significant events captured in photos and projects implemented, and appreciate the scope of cooperation between Russia and Indonesia today and in the future,” said Rosoboronexport CEO Anatoly Isaykin. Military-technical cooperation with the Republic of Indonesia has been underway since 1958. It was suspended in 1965 and didn’t resume until November 1992. Since then, the total deliveries of military goods to Indonesia have exceeded $2.5 billion.